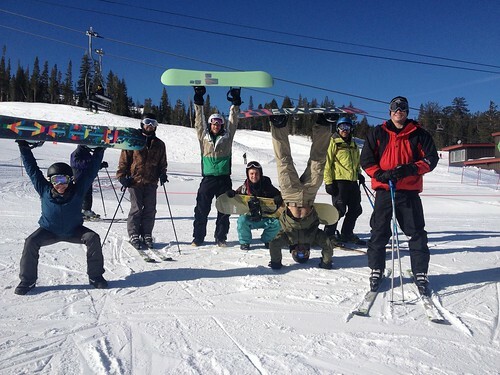 Home » WOD Blog » Sno-Rep IV, Mammoth Ski & Snowboard Trip! 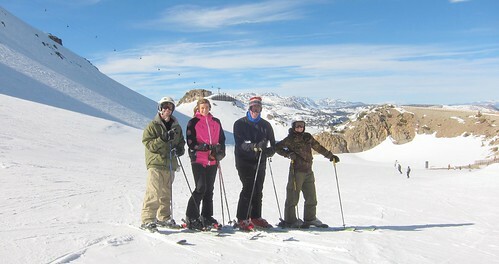 Sno-Rep IV, Mammoth Ski & Snowboard Trip! Our yearly Mammoth Trip is here! Fri, Jan 31st to Sun, Feb 2nd. For the past 3 years we’ve come to shred, inner tube, hang on a bunny hill, cook, eat, drink, hot tub it in the snow, hit the town, make hilarious crossfit demo videos and more. As usual, we’ve reserved a bomb loft condo at the Mammoth Mountain Inn, just a few steps from the Gondola and Main Lodge. The property has several hot tubs and a pool and our loft has a full kitchen and 3 baths. We are also hooked up with a sick deal on 2 day lift tickets: regular price – $198, our price – $145!! Comment, email, text with a desired bed by 12/27. I will email all reserved before 12/27 to re-confirm. Your reservation will be confirmed, charged and non refundable after 12/27. Please book your reservations AND lift tickets by calling 1.800.MAMMOTH and using the group code “OUT OF CONTROL PROMOTIONS”. You can find equipment rentals at Val Surf for a great price. 1 day= $35, 2 days = $45, 3 Days = $55, 4 Days = $64 and that includes board, boots and bindings. Ski packages are $10 less per day than the snowboarding package. I think helmets are mandatory for anyone under the age of 12 but recommended for everyone.